OrKidstra stole the Opening Ceremony of the Centre for Global Pluralism—with more than their music. They are the embodiment of Canada. OrKidstra proudly presents memorable and inspiring performances. In the past year alone OrKidstra has performed for national and international audiences at the JUNO Awards, the One Young World Summit, the Global Centre for Pluralism and the Canada 150 celebrations. The audience will appreciate your commitment to social sustainability and enjoy a magical performance – the good feeling lingers long after the sound of the music has finished. 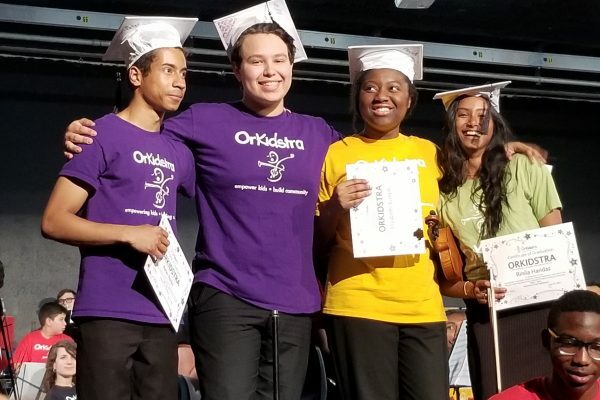 Whether you’re looking for a small chamber group, a choir or a full orchestra, OrKidstra has the range and flexibility to entertain at your event. Ready to create to thrill your audience and promote harmony in your community? 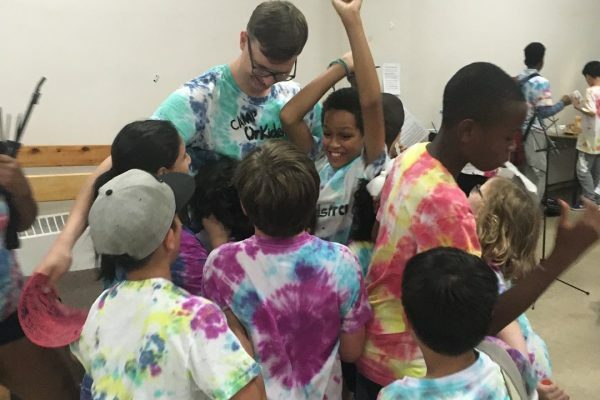 Contact OrKidstra about your event now! OrKidstra’s performance was credited by our guests as a highlight of the Opening of the Global Centre for Pluralism. 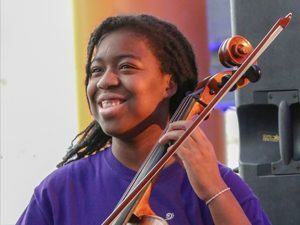 The young musicians showed tremendous confidence, passion and joy on stage, creating a powerful and moving moment that we will all remember for years to come. 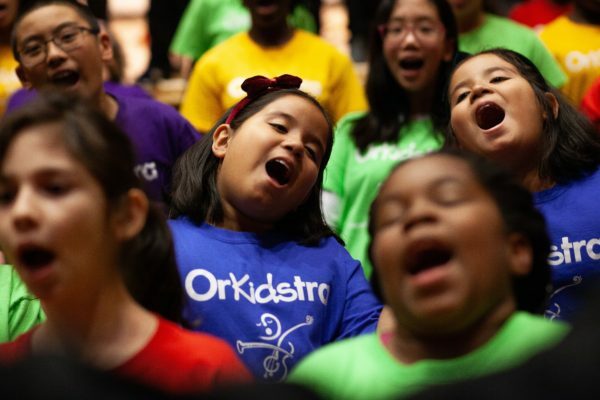 OrKidstra leads 186 new Canadians in the national anthem on February 24, 2019 at the Canadian Tire Centre. Six OrKidstra students perform “Alas (a Malala)” with more than 150 young musicians from 23 Sistema-inspired programs in Mexico City (March 2018) led by celebrated composer and conductor Arturo Márquez.